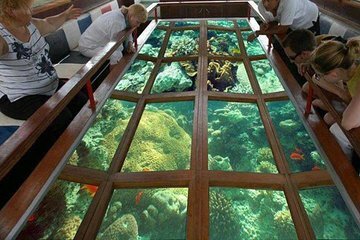 Admire the underwater world of Dahab without getting wet on this glass-bottom boat tour. See multi-colored corals and sea creatures from clown fish to lion fish and rays. Visit Napoleon Reef and Lagoon Reef, and, if you wish, make use of the onboard snorkel equipment to get a closer look.